Belmont, Mass. – Hanging on by a thread, Nick Torosian refused to let a marquee win for Lynnfield slip through the cracks. 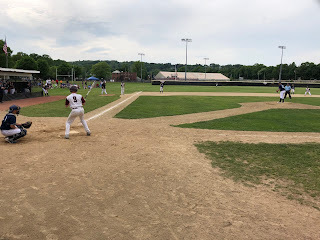 On top of Belmont, 7-6, in the bottom of the seventh, the Lynnfield saw the Marauders load the bases with two outs without the benefit of a hit. 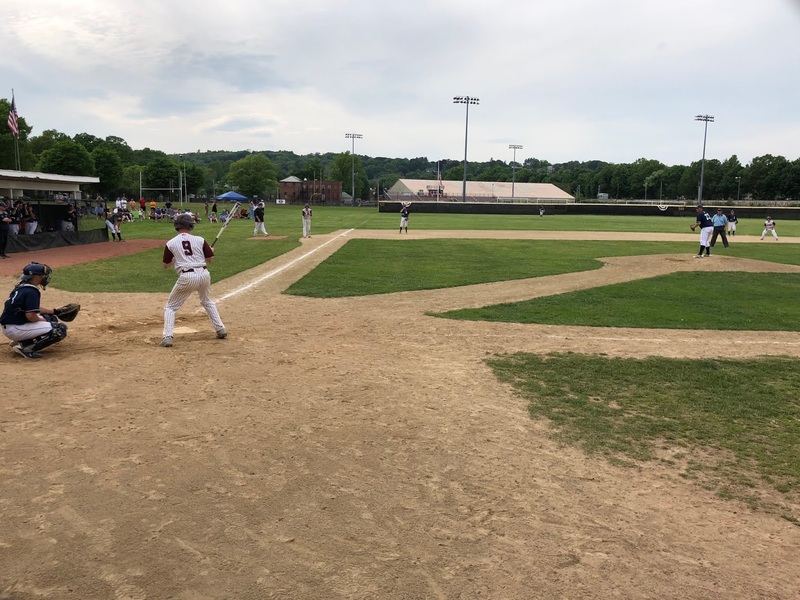 In to close it out, Torosian fell behind Belmont’s Connor Dacey but battled back to strike him out on a 2-2 sinker to give Lynnfield a 7-6 win over Belmont on Saturday afternoon in the championship game of the Brendan Grant Memorial Baseball Tournament at Belmont High School. Lynnfield's Fernando Gonzalez was named the tournament’s most valuable player. Gonzalez went 2-for-4 on Saturday with a double and an RBI. Torosian, who pitched the last three innings of relief, commented on staying focused on the one batter in front of him. Following the Pioneers’ 1-0 win over Burlington on Saturday in which Gonzalez threw a complete game shutout, O’Brien was hoping for a better offensive showing at the plate on Saturday. Lynnfield (15-4) did just that from the outset. Jonathon Luders and Matthew Fiore led off with singles, and Cooper Marengi clobbered a 3-2 fastball well over the fence in right centerfield to give Lynnfield an early 3-0 lead. Belmont grabbed two of those runs right back in the home half of the frame when Ryan Noone belted a two run shot to right to pull the Marauders within 3-2. Both Lynnfield starter Jaret Simpson and Belmont hurler Martin Martintchev settled in over the next two innings before the Pioneers offense came back to life in the top of the fourth. Daniel Jameson doubled, moved over to third on a sacrifice but, and came home to score on consecutive fielding errors to make it 4-2 Lynnfield. Two batters later, with a pair in scoring position and two out, Maregni came through with the key hit of the game lining a two run single into right to extend the Pioneers’ lead to 6-2. A Gonzalez RBI double made it 7-2 Lynnfield after three and a half. Dacey RBI groundout and in the fifth loaded the bases with nobody out. Torosian, just into the game, induced a 6-4-3 double play before striking out Noone to evade trouble. In the sixth the Marauders got to Torosian for three runs capped off by an RBI single off the bat of Martinchev to pull Belmont within 7-6. On the mound, meanwhile, Marauders reliever Steve Rizzuto retired the Pioneers 1-2-3 in the top of the seventh sending Torosian back to the mound nursing just a one run lead. “We’ve got one more regular season game before we go right into the tournament so hopefully we finish on a good night,” said O’Brien.